You've mastered your art. Now, master your mind. 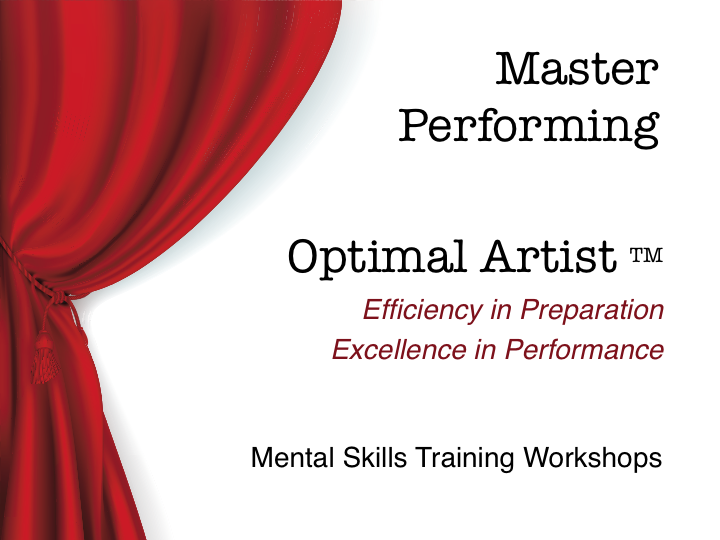 This is all about sharing and humanizing the performance anxiety experience. Let’s face it, we have all been there. So, use the form below to share your story. It can be silly, serious, embarrassing, or career-stalling. Stories of heart beating, limbs shaking. I will moderate submissions before posting them, in case you accidentally include your email in the body. I will -not- post email addresses. I will also not post your name unless you give me permission. (You can use full name, first name, initials, no name – whatever you want.) If you ever have Sender’s Regret and change your mind, just send me a message and I will delete your submission. The form asks you to solve a math puzzle. That prevents me from getting spam. Sorry if you hate math puzzles. “Craft. Ever since taking these workshops, I think that every time I practice. My craft. “Where were you 20 years ago when I really needed this? My career would have been quite different..."
" ...concise, informative and entertaining... displayed a great depth of knowledge both from the perspective of a performer and someone who clearly understands the physical and psychological effects of performance anxiety on a musician. The students came away armed with knowledge that will help them better understand and cope with performance anxiety. Bravo!" "Lisa's explanation of the physical manifestations of the "fight or flight" syndrome… was exceptionally well detailed. Laurier students have said that this was the best and most detailed discussion of this topic that they have heard to date." "Very thorough. Nothing is off limits." "Great tools to put to use." "Engrossing, informative workshop. Left me wanting to know more." "(The) course sold out very quickly and the attendees praised your teaching skills and in-depth interactions with the class. I would certainly recommend you as an instructor and FTM would be delighted to program your course again in the future — Thank you again for all of your excellent work."